After living 13 months surrounded by violence and poverty a wave shot over me. A wave of compassion and healing. A calling back by God. At the same time I stumbled upon a book by Rob Bell called Jesus wants to save Christians. 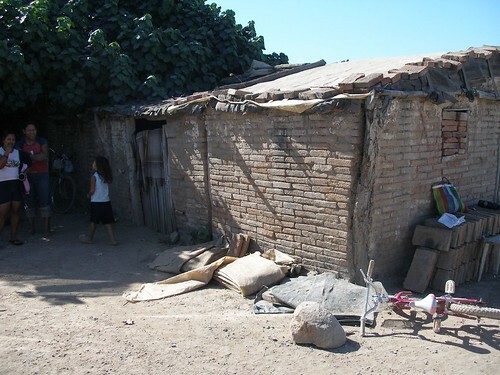 One of the underlying things that struck me about Mexico is its poverty. I really never had an idea. Poverty in a third world country is out of this world. My house albeit different than this was similar in structure. Poverty is real. The daily struggle between eating, and drinking clean water is real. The struggle for affordable healthcare is very real. Touching and feeling life is entirely different in a state of poverty. Love is deeper. Sharing is bigger. People are happy even though they have not. People in this country seem so sad and somber. People here in America have insulated themselves from miracles. They no longer live with such reckless faith that they need them. There is rarely room for the transcendent in their lives. If they get sick, they go to the doctor. But what about the poor? Here in America I have given up on Christianity. But I haven’t given up on the reckless Rabbi called Jesus. Here is a true story. Having just walked from Playas De Tijuana my feet bloodied, I prayed that God would send me a pair of sandles. Long story short mine were stolen and I was wearing borrowed shoes. I can’t stand shoes. I haven’t worn any in about a year. So I am walking and my feet are aching. And for the entire day I prayed that God would send me a pair of sandles. I finally made it into the United States amidst some holds by ICE/Immigration I was ‘home’. I took the trolley and set out in search of ? Doesn’t matter. Later on that evening I began to pray, God my feet are killing me. He instructed me to lay my shoes down on the side of the sidewalk and walk to the beach. I crazily enough obeyed him. I then doubted and ran back to pick up my shoes. I picked them up and headed back to the trolley. Right their in the middle of the sidewalk not more than 100 metres from where I had just walked was a pair of sandles in my size. My feet finally had relief. God does still do miracles. The real question is are we open to them? I don’t understand the path that I am on, nor do I attempt to make sense of it. I trust wholly that this crazy Rabbi who I lean on will guide me, heal me, and be the master of my life, he is the miracle maker, and the shaper of all that is good.